Last night, on November 15, a mass rally was held in the center of Prague demanding the resignation of Andrej Babiš as the Czech Prime Minister. At the rally, the Prime Minister was accused of corruption, organizing the abduction of his son from first marriage from the Czech Republic to the Crimea, and also in collaboration with the state security services of socialist Czechoslovakia. Participants of the rally chanted: "Shame on Babiš!" and "Babiš behind the bars!" “We cannot allow Babiš, who organized the kidnapping of his own son to the Crimea, to be in the Prime Minister’s office,” Miroslav Nemtsov, a member of the Czech parliament from the Civil Democratic Party said to the rally. Several thousand people came to the protest. However, today, November 16, Andrej Babiš said that he would not voluntarily leave his post. “I would just like to say that I will never retire. Never. And let everyone know about it. Never,” he told reporters, as cited by Novinky publication. 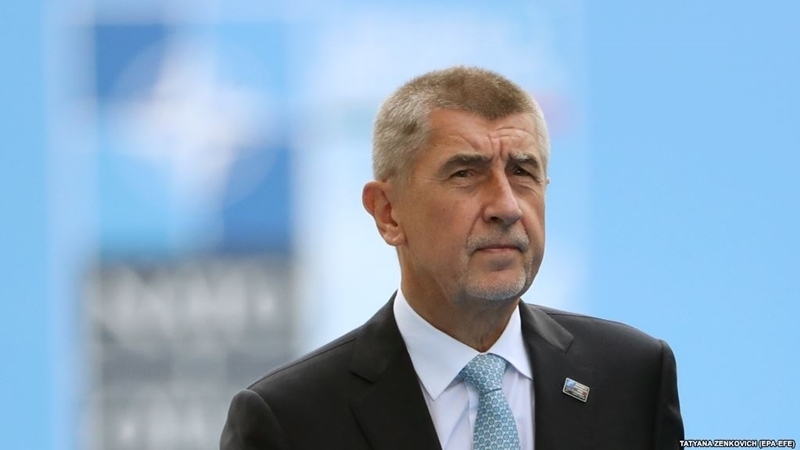 The Czech Social Democrats, who are part of a government coalition with the ANO Babiš Party, said they were considering replacing the Head of government. They considered the option of the Prime Minister’s voluntary resignation, after which another ANO representative should take his post. A scandal erupted in the Czech Republic after an interview with the son of Prime Minister Andrej Babiš Jr. to one of the Czech publications, during which he said that he was taken to the Crimea last year to not testify against his father in a case of possible fraud with EU money. It is about the alleged appropriation of 50 million euros, the EU allocated to the agricultural concern Stork's Nest by the Prime Minister of the country. This company is associated with Prime Minister Babiš, although he denies this information. The Czech Prime Minister also refuted his son’s words about taking him to the Crimea, noting that his son was mentally ill.